TroyBoi is a British DJ based in London, United Kingdom He is of Indian, Chinese, Portuguese, and Nigerian ancestry which helps with his middle eastern influences and use of a broad range of genres that condense to create his own Trap sound. He calls his music "My Style." 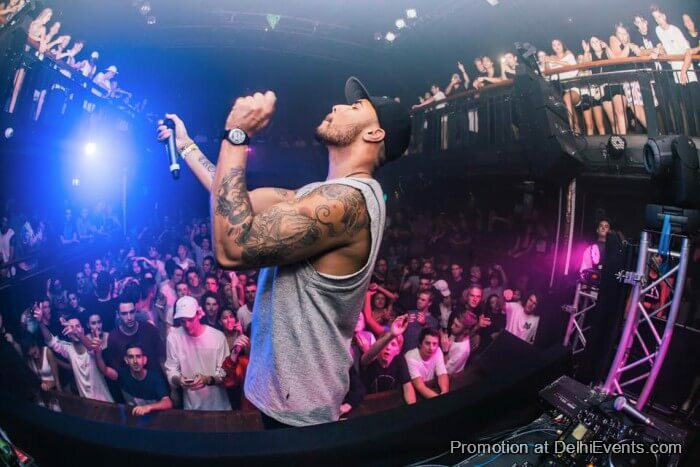 TroyBoi has toured extensively playing festivals and shows around the world. His recent collaboration with Diplo and Nina Sky for his hit song "After Hours." Troyboi and his friend icekream make up the musical duo SoundSnobz. He describes icekream as his "musical brother" and minds are in sync when they create music. This multi-talented musician also recently signed to Timbaland’s right-hand man and US Super Producer, Jim Beanz, things are heating up faster than ever. TroyBoi is without a doubt one of the top up-and-coming producers in the game right now and it’s quite clear from his composition that his influences are vast indeed. Buckle up and get ready to be taken into the world of TroyBoi because once you are in, you will never want to get out.